Rodgers and Hammerstein sure knew how to write a good tune. 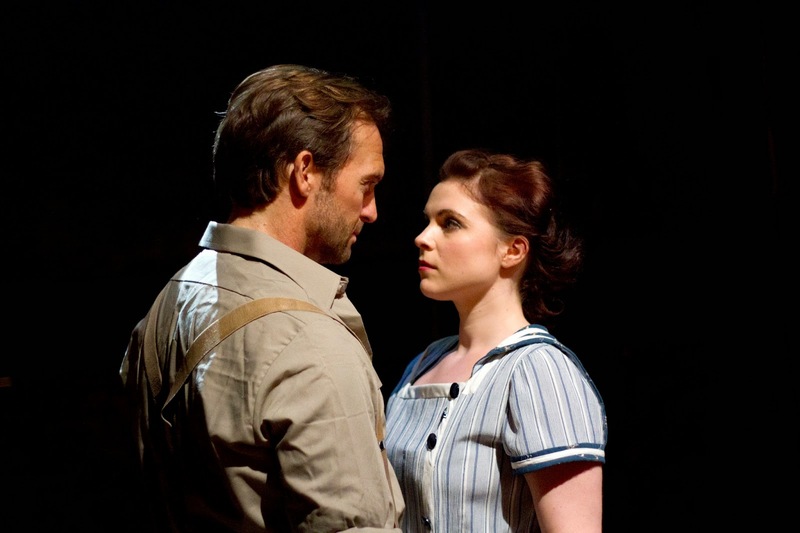 Carousel, one of their most celebrated works, is positively full of them, the score brimming with fairground waltzes, love duets, comic ensemble pieces and, of course, “You’ll Never Walk Alone”. Yet underneath it all is a dark story of redemption, fuelled by domestic violence, murder and the helplessness of the female characters. Carousel is a raw and emotional drama, something this production from Morphic Graffiti seeks to emphasise and whilst the sudden shift to heaven in the second act still requires a great leap of faith from the audience and the ending is a little rushed, the company mostly succeed in creating a gripping drama. In part this comes from the reimagined setting. Shifting the action from its original 1875 setting to the Depression certainly lends the piece greater dramatic weight, highlighting the themes of crime and the struggles of poverty. It’s these themes that still resonate with a modern audience, proving its timelessness. The set design, from Stewart Charlesworth, is gritty and industrial with archways covered in rust and costumes smothered in grime and dirt, suggesting a believable sense of realism that’s somewhat undermined by the fantasy of the second act. 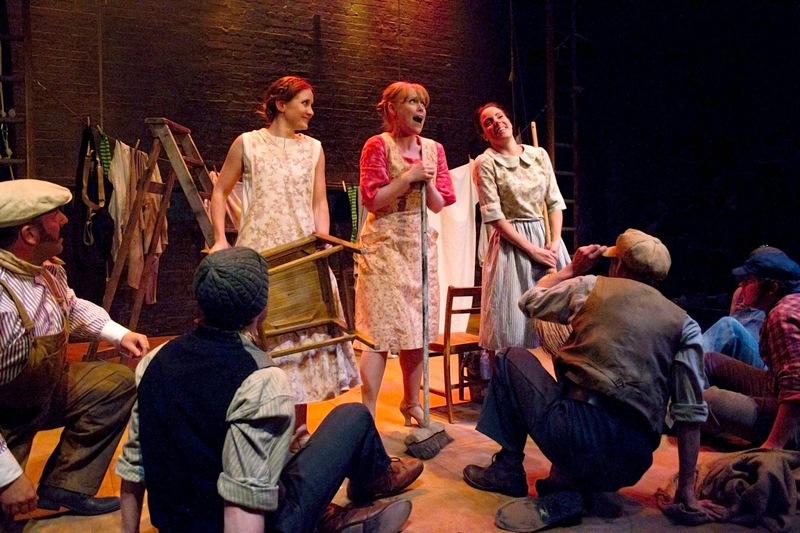 Problems do arise with the space at the Arcola. The set design may blend with the surroundings, but the floor space is incredibly cramped for a musical. The cast size has been reduced and director Luke Fredericks has intended to bring a sense of intimacy to the piece, but during the bustling balletic sequences the performers are in danger of hitting the audience with legs and sweat, let alone each other. And with audience placed on three sides, the action is busy and constantly moving for all to see. It’s in moments where the drama is allowed to breath, as in the stunning performance of the climactic “You’ll Never Walk Alone”, that the production works best and soars to an emotional high. As a whole, though, the drama is slow moving, each song and dance predominantly serving as spectacle between scenes. On the flipside, the talented cast do revel in these numbers. Of particular note are Gemma Sutton’s soft and controlled soprano as the headstrong Julie Jordan, Tim Rogers’ bullish Billy Bigelow and Vicki Lee Taylor’s comic timing as the cute and bubbly Carrie Pipperidge. Most impressive of all, though, is the exceptional ensemble dancing, choreographed by Lee Proud. Performing in such a small space is admirable, but the storytelling and sheer technical ability of the cast in the balletic sequences is stunning. Musically, however, they do feel a little empty due to the reduced orchestra; indeed the sparse arrangements overall only highlight tuning and timing issues between the singers and players. Although it might be a little rough around the edges, that’s all part of the charm of this raw, if flawed, musical. After all, this fairground ride is no fairytale. 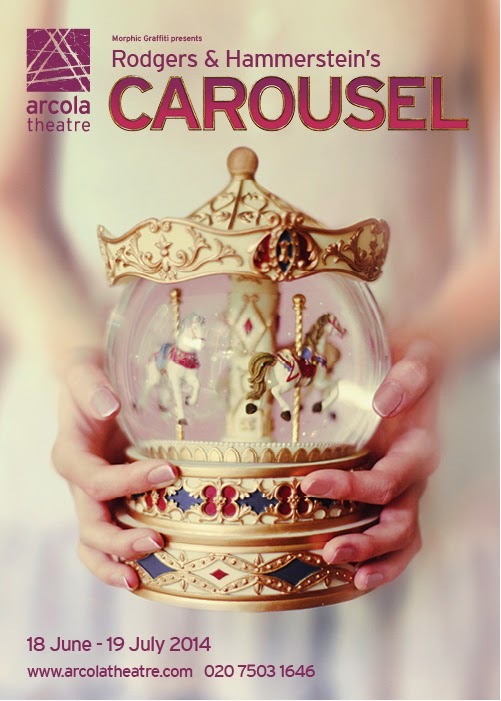 Watch: Carousel runs at the Arcola Theatre until July 19th.